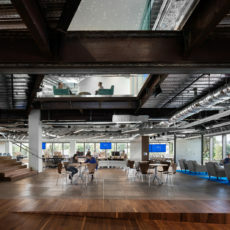 A fresh, nontraditional workplace blending indoor and outdoor spaces for work, collaboration, socializing, and play. 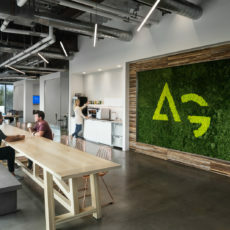 Attracting and retaining the best and brightest tech talent with an innovative and inspiring space. 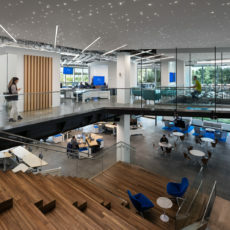 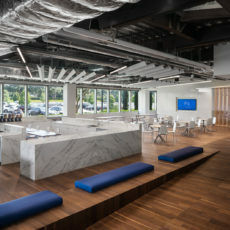 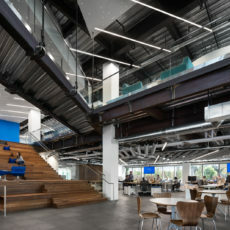 36,000 sq ft including 165 workstations, reception space, idea share walls, lounge huddle rooms, flexible event space, café, formal dining room, conference rooms, game room, chill lounge, slide, coffee and tea bar, nap pods and multiple break-out areas including a grand staircase with fiber optic universe ceiling above. 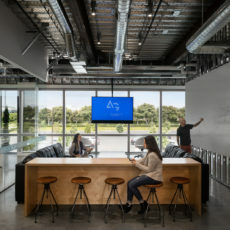 Custom blended workstations from Pivot utilizing a combination of AMQ and Herman Miller to create the ultimate employee workspace. 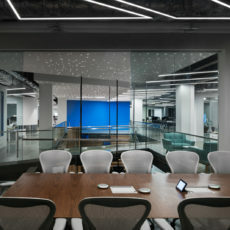 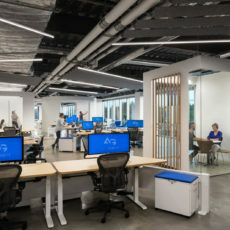 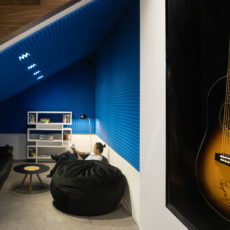 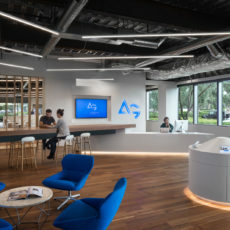 Ancillary furniture includes an eclectic combination of residential, commercial and custom pieces intermixed to create a tech savvy resi-mercial environment.